Amazon is considering a plan that would have the retail giant open as many as 3,000 Amazon Go stores by 2021, Bloomberg News reported. 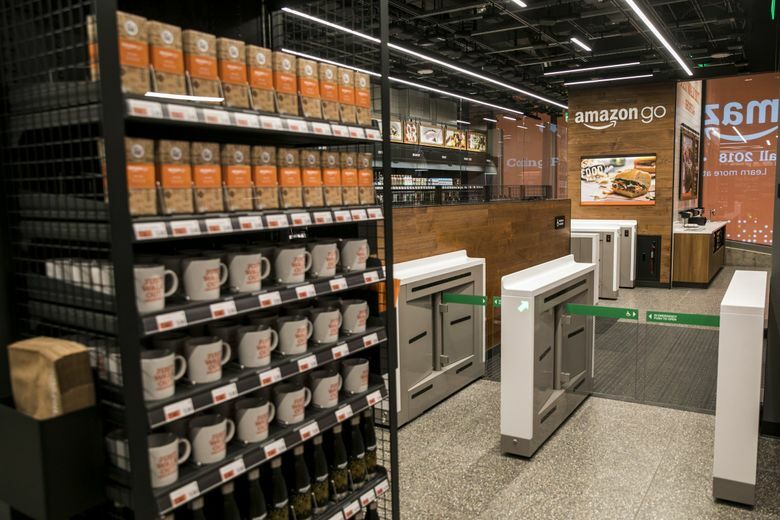 Amazon Go grew from a single convenience-store site to four over the span of eight months. Now a report is suggesting that the retail giant is weighing a much, much faster pace of expansion. Bloomberg News reported Wednesday that the Seattle company is considering a plan to open as many as 3,000 of the cashierless Go convenience stores by 2021. That would mark a dramatic expansion of Amazon’s brick-and-mortar footprint, and could pose an immediate challenge to food sellers from convenience chains like 7-Eleven to large format grocers like Kroger. The report, which cited unnamed people familiar with the matter, is the latest hint at the scale of Amazon’s ambitions to remake physical retail following its success in building a dominant online commerce franchise. Reports in the last year about Amazon’s plans have rattled incumbent players in a wide range of industries, including groceries, pharmacies and specialty office suppliers. Bloomberg reported Wednesday that Amazon is considering different models as it looks to expand Go, including weighing whether to include a limited selection of groceries, or simply focus on prepared food pickup. An Amazon spokeswoman declined to comment. The first Go store opened to the public in January at Amazon’s Seattle headquarters, following more than a yearlong test run open only to employees. Since then, the company has opened two more Seattle sites and one in Chicago, and has confirmed plans for San Francisco and New York stores. The small-format stores — the largest so far is 2,100 square feet — carry a mix of prepared and packaged food, soft drinks and make-at-home meal kits. A 3,000-store footprint would catapult Amazon into the ranks of America’s major physical retail chains. 7-Eleven operates about 8,000 locations, according to the National Retail Foundation’s 2017 tally. Amazon rival Walmart operates 5,300 locations, and Kroger, the largest U.S. grocer by sales, runs 3,900 stores. Shares of big grocers slipped in response to the report Wednesday. Walmart, trading higher before Bloomberg’s report, fell afterward, ending trading Wednesday down 0.2 percent. Kroger fell 1.5 percent, and Target declined 0.6 percent. Those companies had already been on notice for more than a year after Amazon bought its way into brick-and-mortar groceries with the $13.5 billion acquisition of more than 470 Whole Foods Market stores. Amazon also operates or plans to open 18 bookstores, as well as a range of smaller pop-up stores in malls and Kohl’s locations. Amazon, like many secretive technology companies, rarely telegraphs its growth plans. But it has pushed back on past reports that executives had given the green light to a major expansion of Go. When The Wall Street Journal reported a year ago that Amazon envisioned opening 2,000 brick-and-mortar grocery stores of different formats, the company took the rare step of refuting the report, instead of issuing its usual one-line statement declining to comment on reports of unannounced plans. One person familiar with Amazon Go’s development said in an interview with The Seattle Times that the number of stores the company is aiming for has been a subject of debate internally. A plan under discussion after the first store opened to employees for testing called for a few hundred locations, the person said, centered in dense urban areas where ample foot traffic would generate enough sales volume to offset the expensive technology that makes the cashierless store run. Customers enter Amazon Go by swiping their smartphone at a turnstile. Once inside, an array of cameras and sensors track shoppers’ progress through the store, charging a credit card on file for items the shoppers take off shelves. The person familiar with Go’s development during its early stages said the sensor technology and other hardware installed in the first store in Seattle cost between $2 million and $3 million, and that the company was hoping to reduce costs for future stores. Amazon may look for ways to trim that cost in future stores, Bloomberg reported, perhaps by limiting the grocery selection to primarily higher-margin prepared food, which would also require fewer cameras. Amazon’s ramp up could accelerate quickly. Under the plan cited by Bloomberg, 10 Go stores would be up and running by the end of 2018, 50 in 2019, and up to 3,000 by 2021.